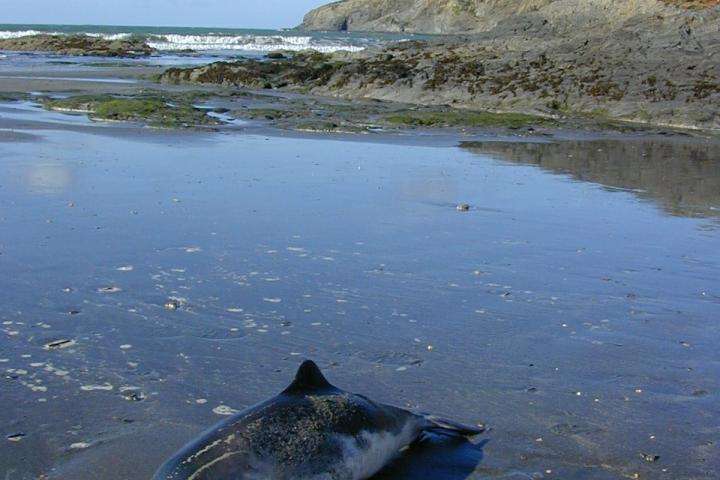 A collaborative study led by international conservation charity the Zoological Society of London (ZSL) has found that harbour porpoises (Phocoena phocoena) are struggling to successfully reproduce as a result of chemical pollutants found in European waters. The research, published today in PLOS ONE, found that polychlorinated biphenyls (PCBs), a chemical once used in industrial equipment, such as electrical components and certain paints, accumulates in the fat tissue of whales, dolphins and porpoises - known collectively as cetaceans - and can remain there throughout their lifetime. Exposure to PCBs can weaken cetacean immune systems and reduce breeding success. PCB concentrations in UK porpoises examined in the study were moderately high, despite being banned in the UK over 30 years ago. The study reported a large number of cases of reproductive failure: almost 20% of sexually mature females showed evidence of stillbirth, foetal death or recent abortion. A further 16.5% had infections or tumours of reproductive organs that could have contributed to breeding failure. The study also found lower pregnancy rates in UK harbour porpoises compared to those living in much less PCB-polluted regions. Harbour porpoise calves inherit PCB contamination from their mothers through suckling, continuing the problem for future generations. Dr Sinéad Murphy led the study during her Marie Curie Research Fellowship at ZSL. Dr Murphy said: "Reproductive failure could have occurred in almost 40% of mature females sampled in this study. PCBs may have reduced foetal or newborn survival, something which has also been observed in other mammals. UK harbour porpoises are part of a larger north-east Atlantic population and our research suggests a population-level risk from PCB exposure." Dr Paul Jepson, co-author of the study at ZSL and lead veterinarian on the UK Cetacean Strandings Investigation Programme (CSIP), said "PCBs were banned in 1981 in the UK, but PCB concentrations only stopped declining in the blubber of UK harbour porpoises around 1998. PCB levels in many UK porpoises are still high, which could mean continued negative effects on health and breeding."